What goes up must come down — but with a high-tech, high-altitude balloon,where it comes down isn’t always so easy to tell. 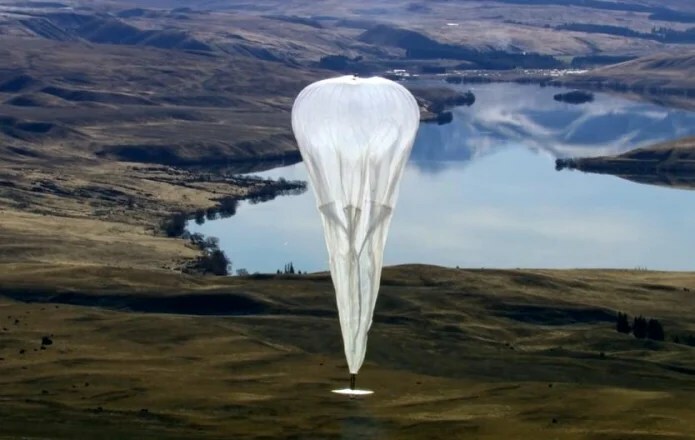 That’s what Google’s ambitiousProject Loon was reminded of when one of its floating Internet hot spots knocked out power lines in south-central Washington state. Last week’s incident was first reported in the Yakima Herald Republic shortly after the balloon crashed. Google confirmed Tuesday that the balloon, originally launched in Nevada, was in the process of a controlled landing when it struck power lines around 1 A.M., causing a few local outages. An experimental Project Loon balloon (not the one that crashed) takes off. Project Loon is an experiment in providing Internet access to distant areas by means of long-range wireless transceivers suspended from weather balloons. The floating access points are meant to stay aloft for about three months, travelling at a safe altitude and eventually coming down in more or less predictable fashion. But a sudden breeze can still knock one off course during descent — which may be what happened to bring this one down near the town of Yakima County town of Harrah. Google’s balloons are operated with FAA approval, and the company said in a statement that “we coordinate with local air traffic control authorities and have a team dedicated to recovering the balloons when they land.” In this case, that also meant working with the local utility company, Pacific Power, to fix things up. Of course, anything from a falling branch to a stray kite can take out a power line, and the problem is usually resolved in short order.